This is my very first desktop/tower build with a full AMD setup in mind. I'm no fan of Crossfire/SLI, nor do I care for large towers due to lack of space. I've always wanted a budget-friendly ($450-$600) AMD build and the recent release of 2nd Gen Ryzen piqued my interest enough to finally do a custom build. I plan on gaming with this machine, so low-end capability is a given with the Ryzen 3 with the intent on upgrading in the near future. I recently purchased a GIGABYTE RX 560 4GB OC (rev 2.0), so I'll install that and make a separate build regarding that. Installing the parts was smooth and easy, albeit lengthy due to how finicky I am regarding delicate parts. The case was definitely more spacious than I anticipated, so I definitely had an easy time setting everything up. The only issue is keeping the clutter to a minimum due to the placement of pins on this motherboard. Otherwise, the process was pretty straightforward. The only bump I ran across was the fact that the motherboard only has 2 fan headers (1 CPU, 1 System) and I had 3 case fans. Fortunately, the 80mm case fans also have 4-pin molex connectors (both male and female), so you can connect them directly into the PSU if you're lazy. Otherwise, just get a PWM fan splitter. No need for a 3 way splitter as those two fans can be connected to another via the aforementioned molex connectors. Fan control via Smart Fan Control 5 will be universal (no individual control per fan) through this header, but it definitely works wonderfully across the board with a total of .88A out of the 1A limit. Installing Windows 10 was easy, but I experienced random crashes thanks to the Intel Wireless drivers sorely needing an update. Once I updated my wireless adapter, everything ran smoothly again. I was actually able to play Forza Motorsport 6: Apex on the lowest settings with few hiccups, so I figure mobile games (if that's your thing) run a lot better and prettier than something like Forza. Streaming HD videos on my 32" Vizio SmartCast 1080p TV/display (you may cringe) were child's play, as was running multiple apps alongside Chrome smoothly as well. I did no overclocking on this CPU yet, so I'll see how that goes. I'm also thinking on changing the Wireless hardware to something more stable, this particular wireless card is pretty unstable. I'm open to any suggestions, recommendations, and some ideas on adding some aesthetic flair to this build. Any feedback will be appreciated. Note that the Vega 8 Graphics will take up 0.3GB of RAM by default. After some driver updates, it uses 1GB by default. Changing the Integrated Graphics setting to "Forces" in the BIOS grants access to UMA settings. From there, you can manually choose how much RAM will be allocated to the iGPU. This also means running dual channel will optimize performance, though this ran just fine even on single channel memory. Games like Gears of War 4 can run on mixed settings (2GB-4GB recommended) at around 30FPS at close to 1600x900 resolution. Less-demanding titles fare a lot better, though Gears 4 will pretty much run close to Xbox One consistency on Vega 8. Talk about punching above its weight. Small, compact, and stunning in white is what this cube is all about. It's spacious, yet compact and can definitely do what you need it to. Its airy interior also helps with airflow and maintaining lower temps. Its motherboard and PSU orientation definitely contribute to a beautiful interior. 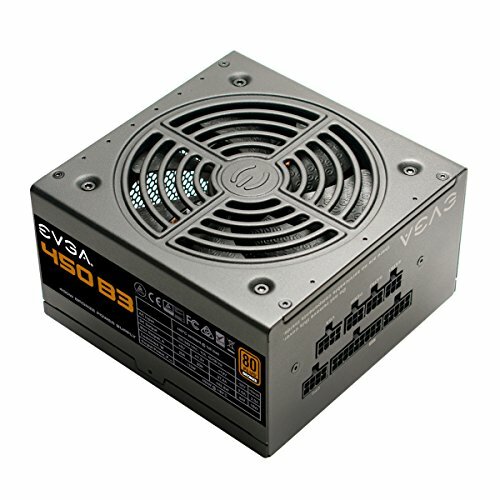 I've been told this PSU will go nuclear if you reach/exceed its wattage limit. Considering my build is a Mini ITX build, there's little need to worry. If I slapped a Ryzen 7 and RX 580 into this build, I'd still be roughly 140W shy of reaching its limit. Maybe in the future you could get a used gpu, ex a used 980 (or ti), and a used risen 7 cpu. 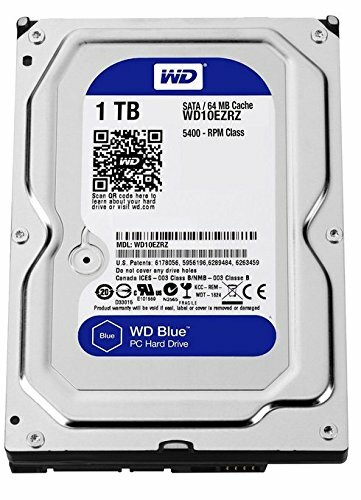 But I personally think you could've spent a few more dollars and gotten a WD Blue 1TB 7200prm HDD. My friend built one with a 5400 rpm and when he upgraded to a 7200rpm he said it was like night and day. Thanks for the suggestion. I realized after the purchase that I ordered the Blue and not the Caviar-Blue (7200RPM model). They were the same price, too. Either way, I'm looking to getting an M.2 2280 SSD to use as the boot drive. I do have an RX 560 4GB OC I bought used for $121.50, I'll post that soon, I just completed the entire build now. As for that Ryzen 7, I'm looking towards the 2nd Gen so it'll be awhile before I do that kind of upgrade. Possibly once I get an RX 570/580 at a fair price. I had upgraded to a Ryzen 7 2700X and Vega 64 a few months back, so that build is posted. Beautiful system! The cable management is pretty good too just like you said! It looks pretty easy to build in! With all that space, does it hold up to a micro atx board in there? Again nice build! Thanks! This case in particular could fit a Micro ATX board in it, but you'd be presented with a problem or two: GPU alignment with the dedicated PCIe slot for a single PCIe motherboard. Two slots would be an absolute nightmare. I saw an ASRock H110M-HDS R3.0 LGA 1151 Micro ATX that looks like it'd fit, but I'd be concerned with aligning the GPU. The ASUS PRIME B250M-K has perfect alignment for the GPU, but its extra width might pose a challenge. There are Micro ATX boards that have screws aligned for Mini ITX solutions like those two, so it's a matter of GPU alignment and additional width. The PCIe slot on the board should align with the first pair of screws/sockets on the left. The ASUS has that alignment, though I wonder if it aligns with the elevated bumpers that you'd place the board on. What I can say is it'll hold an RX 580 like it's nobody's business. I will be posting the updated build with my RX 560 in it soon. Thanks, I've got the updated build posted here as well, take a look at what this little rig can do with an RX 560. Go 1050Ti or just "bargain" hunt an RX 570. Honestly, my preference is the RX 560 4GB OC (go GIGABYTE or ASUS) dual fan models. You'd get comparable performance for less, plus you wouldn't have to install a whole lot more software given you'd already have Radeon settings. Take a look at my updated build for some ideas. I've since added another 8GB to that build, but it didn't warrant another post. If you're dead set on Nvidia GPUs, take a look at the GTX 960/970 if you want. That way you'd still get some oomph in that build of yours while not paying through the nose for a 10 series. Starting with the 8GB RAM I had good performance. 2,400MHz isn't the fastest, but their had been no issues whatsoever. Doubling that to 16GB only made processes run that much smoother. I saw the performance boost shine when running a game like Forza Motorsport 6, it ran much happier with the recommended 16GB RAM. That 1050Ti will run great on Med-High settings. My RX 560 4GB ran well, so your GPU should handle it fine. I just added the motherboard and APU to the list and I get that prompted that BIOS may be incompatible. Did you have any issues? Fortunately, my motherboard had the F10 BIOS pre-installed. That's the BIOS that introduced compatibility with Raven Ridge CPUs. It's a gamble based on reviews, so be cautious. If anything, just get an RMA order if you don't have the BIOS already installed. From there, it's also a gamble per se: some BIOS updates are unstable on some motherboards, though it's never the exact same BIOS for everyone (except for F23d, that's a beta so far). That would depend on you CPU, I guess. For me, F10 seemed to start fine, but after upgrading to F22 after some Windows 10 resets (I was simply checking off every diagnostic option I had) I found that my F10 BIOS was unstable by comparison. I was getting crashes with that BIOS, so if your APU runs during your intial boot, I recommend having the latest BIOS installed immediately. Thanks for the patient explanation. No problem. Makre sure you install all drivers immediately, then flash your BIOS. I recommend saving each BIOS past F10 on a bootable flash drive just to be on the safe side. Yes, it actually did but my BIOS was F10. Let's just say it had some serious stability issues. This APU is great for eSports games that aren't too demanding. I tested Modern Combat FPS and Asphalt 8 on it with at least 40FPS with mixed settings. This was when the Vega 8 graphics only used up 200MB of RAM. I didn't really pay too much attention at the time, just tested the APU to see if it functioned properly. I think the recent AMD update lets it use 1GB of RAM now, which happened to me a few days back. It's currently paired to an RX 580 8GB GPU right now, but I'm happy to test it out again. I'll let you know later what I'm getting in those kinds of games with the upgrade in memory usage. Cool dude thank you so much for the reply! Ill definetly send you a link once im done my build! I've set the integrated graphics in the BIOS to Forces and manually set UMA to 4GB. I played Gears of War 4 in both campaign and XBL with mixed settings for 22-30FPS @ 1634x920. It starts to stutter a bit at 1080p and the CPU heats up a lot though. Will post my overclock settings and benchmark data soon. I need to know, how’d you get that front span spinning on the motherboard. I have almost the same build as you. Right now I use a Y splitter for the fan header. The rear fans have a 3/4 pin connection so I connect the two molex connectors to each other, then use the 3-pin connector for the Y splitter along with the front case fan. Before that, you can see the rear fans connected directly to the power supply with a molex cable, so the front fan was simply connected to the system1 fan header. Right, but once plugged in and powered on, the front fan started to spin? Yeah. There's a bracket on the fan connector that lines up with a bar on the fan header. Make sure it lines up perfectly. If your fan still doesn't work, then you've got a bad fan or a bad header.